Across the Kansas prairie, the winter winds blow cold. At times it seems as if winter will never end. The same can be said about the housing market in the depths of a downturn. Spring, however, appears to be just around the corner. 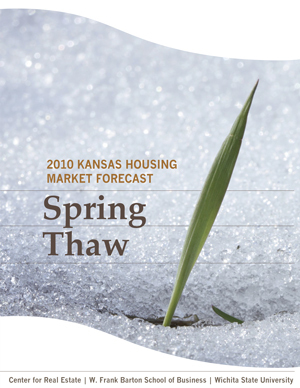 The 2011 Kansas Housing Market forecast is “Spring Thaw,” reflecting our findings that many of the markets across the state were beginning to strengthen.